This radical, eye-and earblasting performance was realised in collaboration with Art Clay (Composition) and Anne Faulborn (Cembalo). Art Clay’s composition “A River and Five Bridges” is an electronic adaptation of André Bretons “Barrières” and asserts the affinity of rational and irrational. The visual composition’s interpretation, realised by Corebounce, absorbs the assertion by implementing a modulated flickering screen. 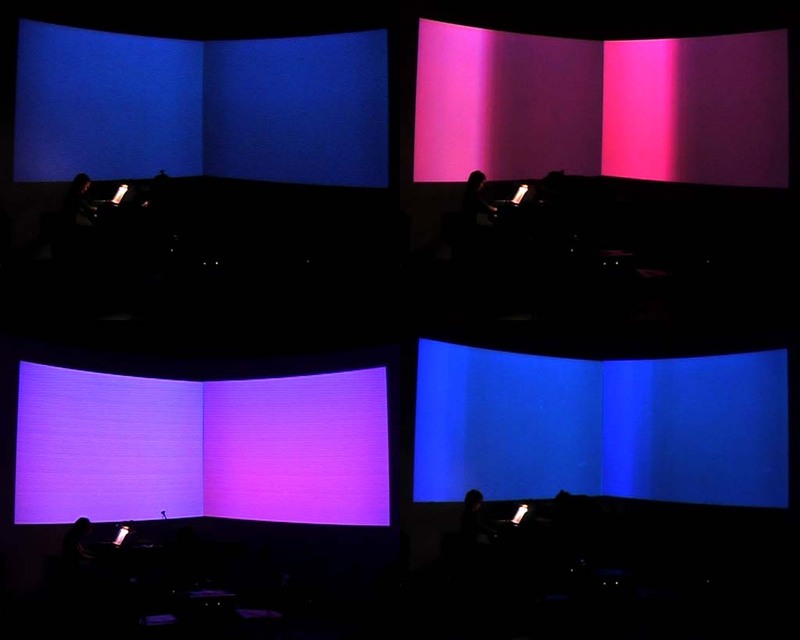 The modulation function is both defined by real-time music analysis and live visual performance. The flicker colors were obtained by two cutouts from Paul Klee’s “The Twittering Machine”, one in blue tones and one in red tones. 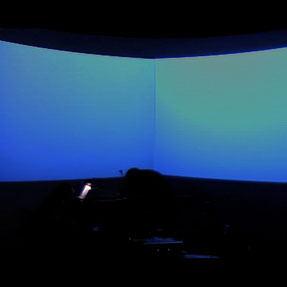 The piece premiered at ETH Zurich’s main building dome during Digital Art Weeks 2005. This entry was posted in Digital Art, Music and tagged Anne Faulborn, Art Clay, Corebounce, Digital Art Weeks, Live Visuals, Portfolio, Scheinwerfer, Soundium on June 25, 2010 by robot.